Oppo R15 VS Vivo X21: Specs Comparison. Oppo is one of the leading smartphone company in the world. And it’s great to see them come into the African market. In 2016, the Chinese company were ranked 4th in the top smartphone brand in the world. Their latest flagship “Oppo R15” was launched in April 2018. The smartphone is the successor to the Oppo R11 and features top-notch design. Going against the Oppo R15 will be Vivo X21. Which was released last month. The Vivo X21 features amazing design that is inspired by the trending iPhone X. Both smartphone are offers good specifications and we would like to see which one is better. With the iPhone X widely accepted in the smartphone market. Am not surprised to see many Chinese smartphone company imitating it. The Oppo R15 and Vivo X21 design is inspired by that of iPhone X. They both have an aluminum body with the glass at the front. With the fingerprint sensor in the middle above the company respective names. Both devices measures at 7.4 mm in thickness. With the Vivo X21 light in weight to the Oppo R15. The Vivo X21 weighs 156.2 grams while the Oppo R15 weighs 175 grams. 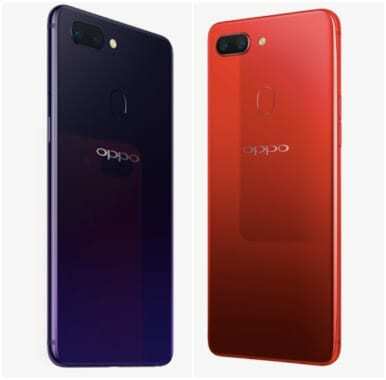 The Oppo R15 is available in Hot Red, Snow White and Star Purple body colors. While Black, Aurora White and Ruby Red are available for Vivo X21. The Oppo R15 dual rear camera is placed horizontally at the top-left corner along with the LED flash. While on the Vivo X21 the dual rear camera and LED flash is placed vertically. Both device comes with the trending bezel-less display. With the Oppo R15 having a 84.8 screen-to-body ratio. While the Vivo X21 has a 85.2 screen-to-body ratio. The Oppo R15 features a 6.28 inch AMOLED capacitive touchscreen. With a 1080 x 2280 pixels resolution and 402 ppi density. The Vivo X21 features something almost similar. With a 6.28 inch Super AMOLED capacitive touchscreen, 1080 x 2280 pixel resolution and 402 ppi density. Super AMOLED is the advanced version of AMOLED. With 20% brighter screen, 20% lower power consumption and 80% less sunlight reflection. That doesn’t still mean the AMOLED touchscreen isn’t good enough. The Oppo R15 will take brighter pictures than the Vivo X21. The Oppo R15 sports a dual rear camera of 16MP f/1.7 aperture & 5MP f/2.2 aperture. Which is better than the dual rear camera of 12MP f/1.8 aperture & 5MP f/2.4 aperture. Also in the front camera, the Oppo R15 would take quality selfies and snaps. It comes with a 20MP f/2.0 aperture front camera. While the Vivo X21 features a 12MP f/2.0 aperture front camera. The Vivo X21 was let down with its poor aperture. The Oppo R15 features Mediatek Helio P60 chipset with Octa-core 2.0GHz processor. While in the hood for Vivo X21 is the Qualcomm Snapdragon 660 chipset with Octa-core 2.2GHz processor. Both smartphone runs on the latest Android operating system, which is Android 8.1 Oreo. They both have an impressive 6GB RAM for easy navigation of apps and opening of large files. The Oppo R15 features an internal storage of 128GB which can be expanded up to 256GB using the microSD in the SIM 2 slot. While the Vivo X21 comes in two variant of ROM; 64GB and 128GB. Both variants can also be expanded up to 256GB using a microSD in the SIM 2 slot. Powering the Vivo X21 is a non-removable Li-Ion 3200 mAh battery. While on the Oppo R15 is a non-removable Li-Po 3450 mAh battery. Both phone comes with a fast charging technology. The Vivo X21 is available for about $555 (N194,250). While the Oppo R15 goes for around $567 (N198,450). A tough one to choose from. While the Vivo X21 has better hardware and display. The Oppo R15 offers better camera quality and battery. I would go with the Oppo R15 on this one.